Classical Pilates is the complete coordination of body, mind and spirit. Pilates is designed to give you suppleness, natural grace, strength and skill that would be unmistakably reflected in the way you walk, work and play. You will develop muscular power with corresponding endurance, ability to perform arduous duties, to play strenuous games and run or travel for long distances without undue body fatigue or mental strain. Rings, bands and weights will be used to strengthen arthritic areas that need it. 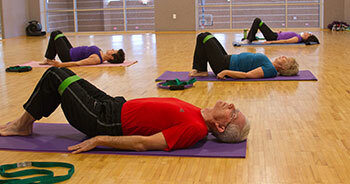 Please read: Sticky exercise mats (available in SCC Bookstore) are required for all Pilates classes.